This 2012 Audi A4 Avant has great fuel economy like its other 2012 Audi counterparts, which makes it a great buy for car shoppers looking for a fuel efficient vehicle. The cabin of this 2012 Audi A4 Wagon sports a high quality and aesthetically pleasing design. The car offers a sport oriented handling designed to handle the speeds of the Nurburing. Surprisingly, this 2012 Audi A4 wagon has limited cargo space, which raises eyebrows as wagons are usually expected to have more space than sedans and other types of vehicles of larger vehicles. The shapes of the Audis are becoming more and more similar. 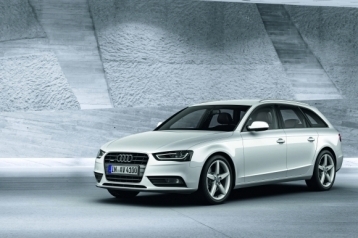 The new Audi A4 Avant wagon is a classic example. There are no surprises from it's other brothers and sisters. This car presents nothing extraordinarily different or special from other comparable vehicles yet it is very pricy. There are currently no user reviews for this page. Feel free to leave a review on any of the model pages. Copyright © 2007-2019 Reviewitonline.net All rights reserved.